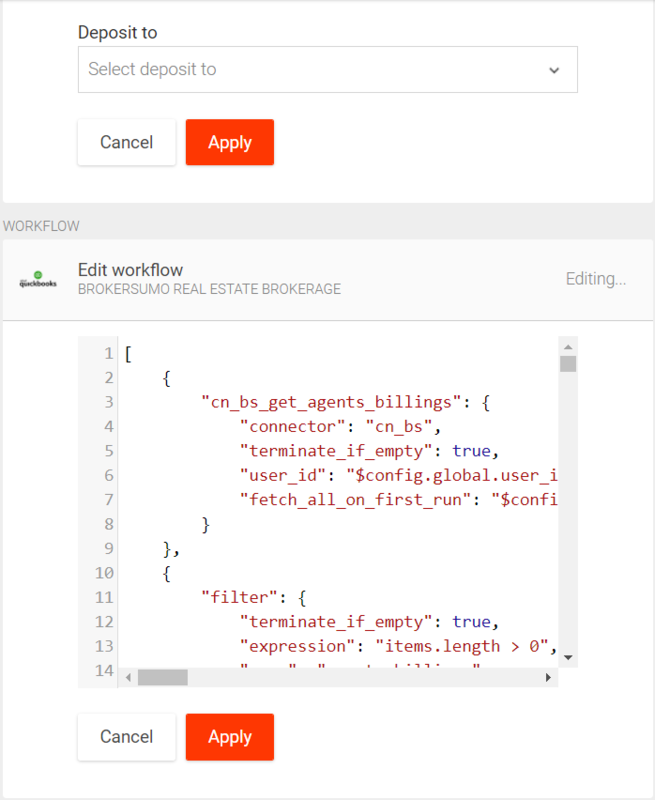 The workflow creates an invoice in QuickBooks Online for each agent that has billing in BrokerSumo. 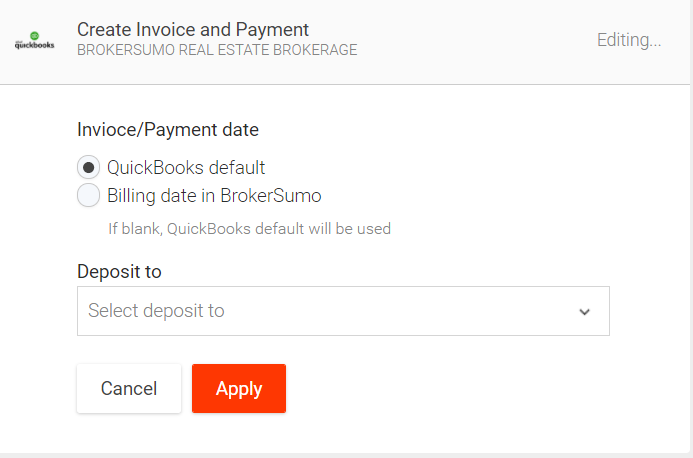 When a bill in BrokerSumo is marked as paid, a payment in QuickBooks will be created. For every next bill paid by this agent, new payment in QuickBooks will be created or updated. Once you have chosen your deposit account then you will click apply and apply under the edit workflow. Note- This will create a paid invoice in Quickbooks if you sync a paid invoice in BrokerSumo, if you sync an unpaid invoice, it creates an unpaid invoice in Quickbooks. If you then mark it as paid in BrokerSumo, and re-sync, it updates the invoice to paid in Quickbooks. You'll need to add both workflows shown above. One creates the invoice, and one creates the payment for that invoice.